The Sprout Coffee Table is made to be played with. 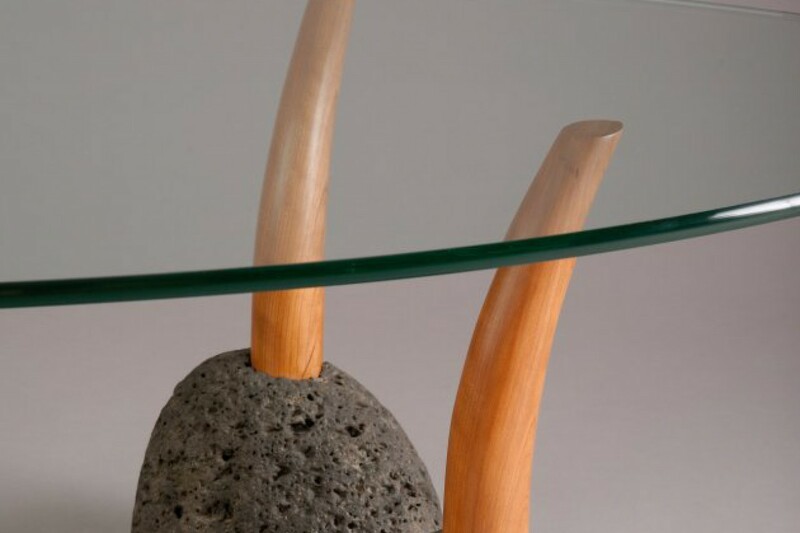 Each stone and wood leg of this glass top coffee table is self supporting, allowing them to be arranged and clustered in endless patterns. 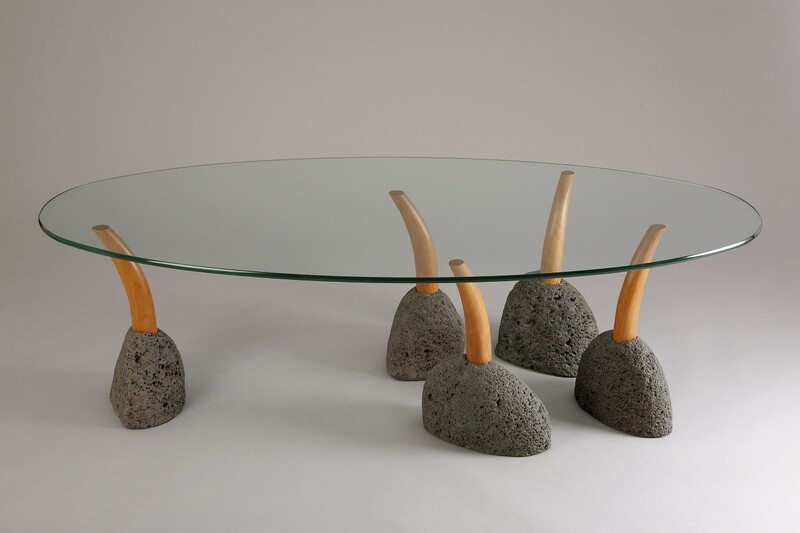 Made from natural stone and sustainably harvested wood, the intention is that you participate in the design by arranging these elements as you might with the rocks in a Japanese garden. Sprout can support a glass top of any shape or size, and extra legs can be ordered for larger tables and infinite variations. 3 of the legs are set at a fixed height, with additional ones adjustable to accommodate uneven floors. 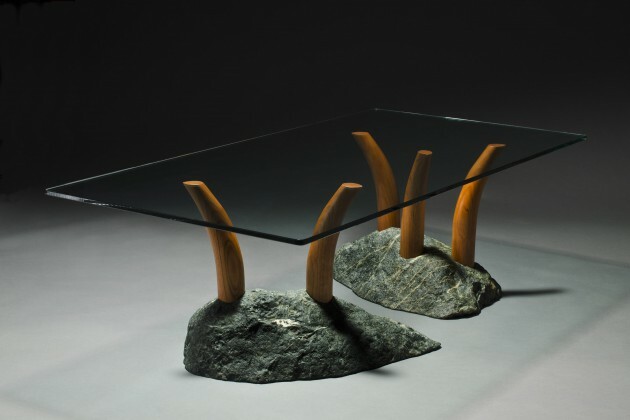 Available in a wide variety of stone using sustainably harvested ash, maple, cherry, fir, black walnut or curly maple. 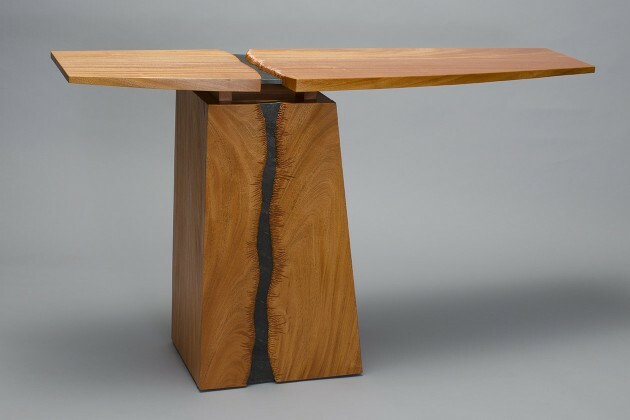 This novel design could be custom made as a hall table, side table, dining table or desk. 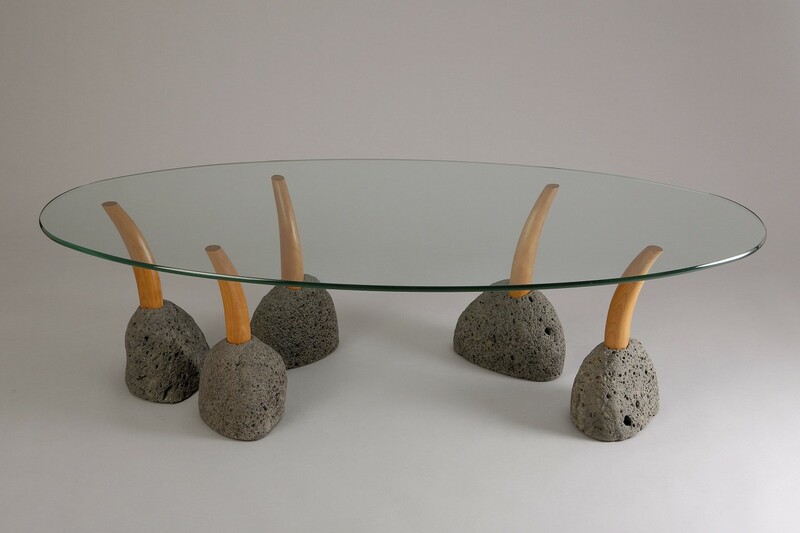 The related Stone Islands Coffee Table uses two stones with multiple sprouts in each.